I have been invited to present the 2015 Nancy Smith Distinguished Lecture at Coastal Carolina University. 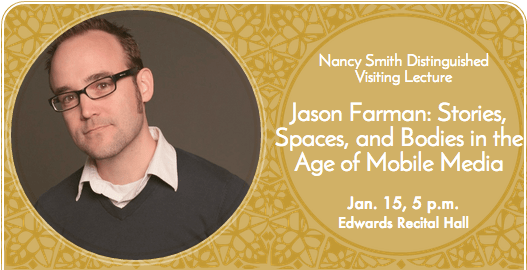 My talk, “Stories, Spaces, and Bodies in the Age of Mobile Media,” will be given on January 22 at 5pm in Edwards Recital Hall. If you’re in the area, I’d love to see you there! Next Post Privacy and Surveillance Panel with Kojo Nnamdi!